Site inspection with a client in Berlin. Among other locations, we visited the nhow Hotel. (Picture shows part of the lobby.) 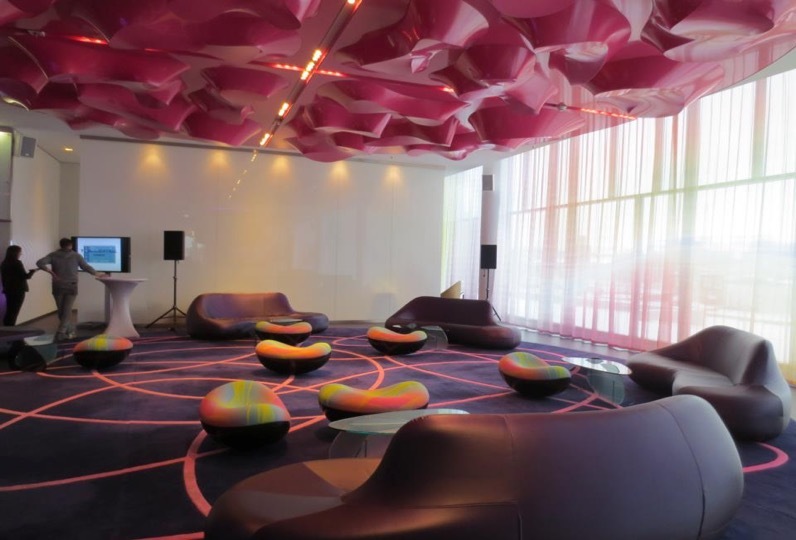 With its fresh colours and the extraordinary modern design, the nhow Hotel won over the client and agency in no time. The employee kick-off and afterward a launch symposium with 140 participants take place there in 2013. We look forward to our new clients and are already in the thick of things.